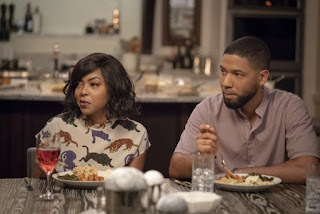 This season of Empire is proceeding positively and we are still on a high note. "Master of What Is Mine Own" confirms the trend of the latest episodes. Let' summarize what happened. Firstly let's discuss the flashforward: Cookie is alive. We are now sure that she is not in the casket, and it was a great relief for us all. In the present timeline, the Lyons still struggle with their finances, but Cookie doesn't want to surrender and she organizes a showcase for LFM's new talent. After a series of hasty decisions, Jeff Kingsley is creating even more obstacles to the Lyons. Andre, Becky, and Gisele decide to spy on him, in order to get to some dirt they can use. A series of secrets are disclosed, and hell breaks loose. Gisele finds out the reason why Kingsley is so hostile to Lucious. 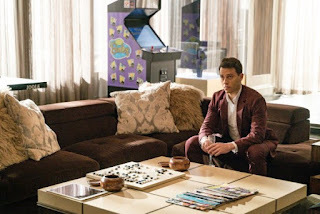 Still furious for what happened to her son, Candace exposes Cookie's hidden assets to Lucious. As we all expected, after Jamal and Kai's engagement becomes public, they fight. 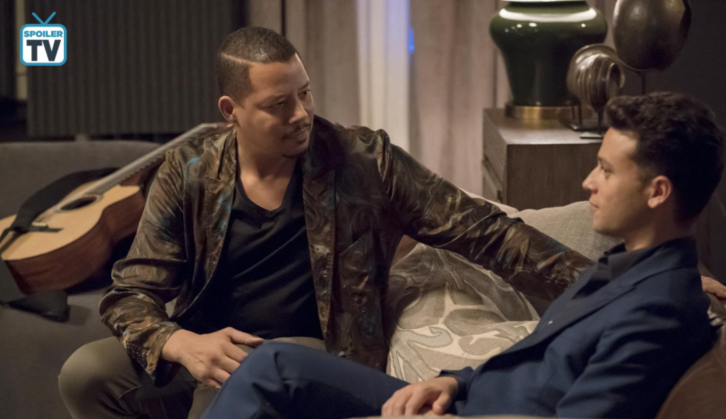 Is this the beginning of the end of another Jamal's relationship? Can this guy catch a break? Finally, Andre discovers what Kingsley is planning: to sell Empire customer data to the federal government. In another of their fights, Tiana asks Hakeem to end his feud with Blake, but it doesn't work out. During one of the many crazy family fights, the craziest and absurd moment of the episode happens: everyone's attention is grabbed by little Bella who finds Hakeem's gun and walks in the room. It was an unforgettable moment and it's way more disturbing than the usual Empire's level. Is Empire trying to make a point about gun-violence? After last week's episode about police brutality, I didn't see that coming. All in all, the episode had a fast rhythm and many narrative twists. I am enjoying the direction towards they are heading this season. Apparently, the writers know what they are doing and I am looking forward to new brothers' feuds, considering the new addition in the family - Kingsley. What do you think of "Master of What is Mine Own"?